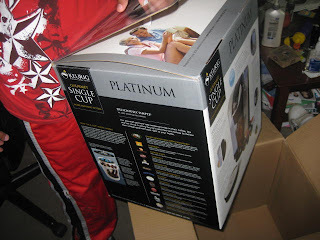 I won a Keurig Platinum Gourmet coffee maker from the Momlogic Coffee Club. I have had so much luck over at that site, it's not even funny! I think I should start working for them! I just gave away a book I won from another group there, and I also won a necklace from the Spring Fling event! 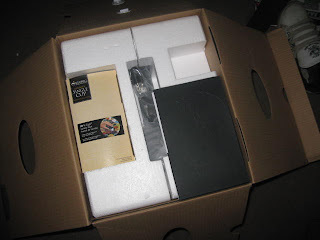 My Keurig came the day before yesterday, via FedEx. 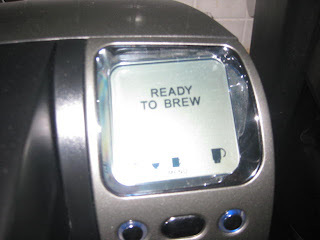 The blue button will begin to blink and you will see on the display that the machine wants you to select your cup size. I chose the biggest size since I was using a big cup. In about 3 minutes, your coffee will begin to brew and you'll be well on your way to waking up! Now, on to a nice breakfast of Pepperidge Farm Granola Cookies and yummy coffee! 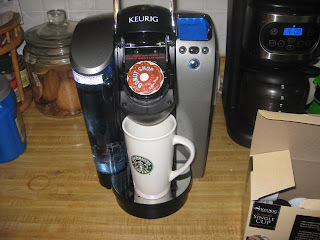 The Keurig is a simple, easy way to make JUST ENOUGH coffee. 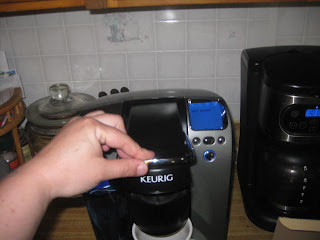 I find that I waste alot of coffee in this house, and the Keurig will eliminate that waste! It's also a stylish gadget that I don't mind having on my counter! The coffee is great; I just wish I could find it for cheaper. As far as I know, Amazon offers the lowest price on K-Cups. Anyone else know of any good prices on K-Cups?? Leave me a comment and let me know! PSST... Need to win some K-Cups? Or a Keurig system? Enter to win here. Play daily to win! Thanks, MomLogic and Keurig! You ROCK! Now.... where did that cookie go?! Thanks for the link! And congratulations on your win! I don't even own a coffee maker, but you make this stuff sound so good, I want to try it! Congrats on all of your wins! This looks like exactly what I need. You would have to come read my blog to know what I am talking about. I seem to blog about coffee every third post. I am totally and completely addicted. I just bought a new coffee maker or I would try this one out for sure. I may check it out anyway because it looks very cool! Awesome post! 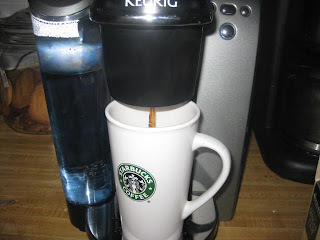 You make me want to go out and buy another Keurig! /thanks for the contest link. Wish me luck! 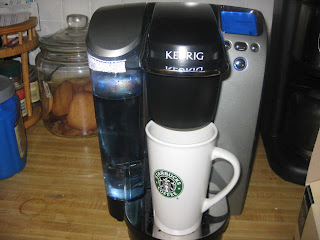 I have the exact Keurig and I adore it. I've blogged about it myself in the past. 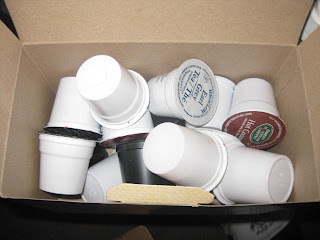 The best place to get the K-cups in my opinion is Amazon but you have to wait until they have one of their big clearances. You can get them at a clearance price and then an additional % off and they come out really cheaply. You can also use the Subscribe and Save along with a coupon when they're on sale for a great price. I usually order 500+ cups at a time when they have a great sale like that. We prefer the Timothy's brand around here and I've never paid much or them. Will have to give this a try in place of my current coffeemaker.